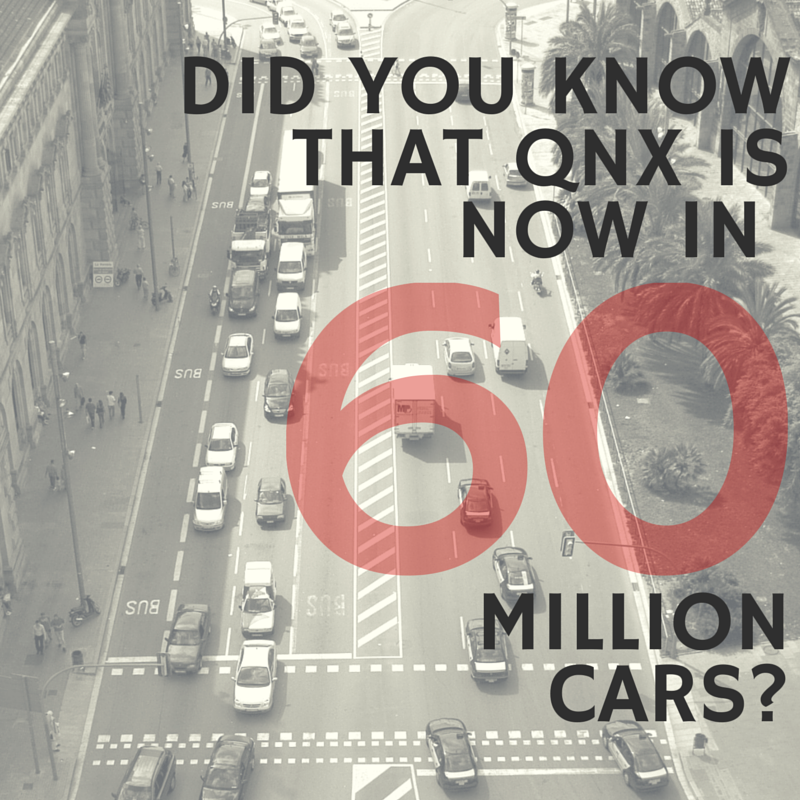 Today, we are pleased to be able to say that QNX software is found in more than 60 million vehicles on the road. In telematics systems like OnStar. In infotainment services like Volkswagen's RNS 850 GPS navigation system and Ford SYNC 3. In the digital instrument clusters of the state-of-the-art Audi TT and Mercedes S-Class Coupé. 60 million is a very big number. 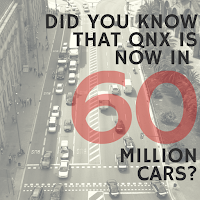 Obviously, we wouldn’t have reached this milestone without the support of our Tier 1 customers who build QNX into their systems every day, the 40+ automakers who choose these QNX-based systems, and our ecosystem of automotive partners who enrich our offering with their market-leading innovations. We want to thank all of these companies for the exciting and challenging opportunities they give us. Here’s to the next 60 million! Congrats for this amazing milestone !